AT NUMBER 2 IN STERNECKERSTRASSE; A QUAINT, WINDING LANE OFF TAL BETWEEN MARIENPLATZ AND ISARTOR, IS A HIDDEN JEWEL OF AUTHENTIC BAVARIAN TRADITION: MUNICH'S OLDEST TOWN HOUSE. 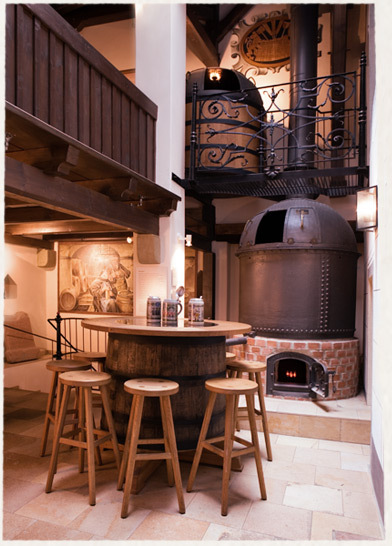 TRACING ITS HISTORY BACK TO 1340 AND HOME TO MERCHANTS, CRAFTSMEN AND BURGHERS THROUGHOUT THE CENTURIES, THE HERITAGE-PROTECTED BUILDING TODAY HOUSES PERMANENT EXHIBITIONS ON BEER AND ON THE OKTOBERFEST – TWO CORNERSTONES OF BAVARIAN CULTURE. 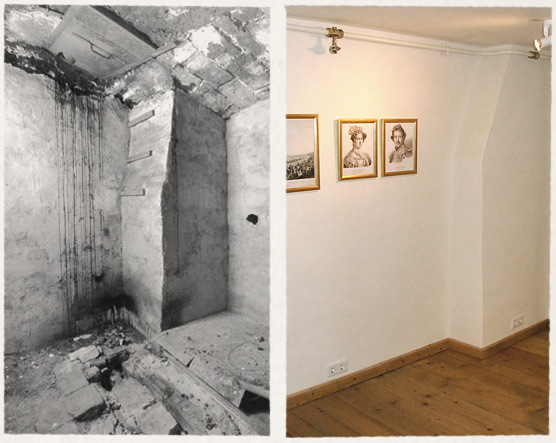 RENOVATION OF THE HOUSE AND MUSEUM WAS A LONG-STANDING DREAM FOR FERDINAND SCHMID, FORMER HEAD OF AUGUSTINER BREWERY AND NOW DIRECTOR OF THE EDITH-HABERLAND-WAGNER FOUNDATION. SEVEN YEARS WOULD PASS FROM THE FOUNDATION'S PURCHASE OF THE HOUSE TO THE OPENING OF THE MUSEUM IN SEPTEMBER 2005. WELCOME TO THIS JEWEL OF LIVING TRADITION! The historical town house at Number 2, Sterneckerstrasse was carefully restored using the original construction methods. During restoration, parts of the original façade frescos, painted to resemble stone blocks, were rediscovered and continued over the whole front. 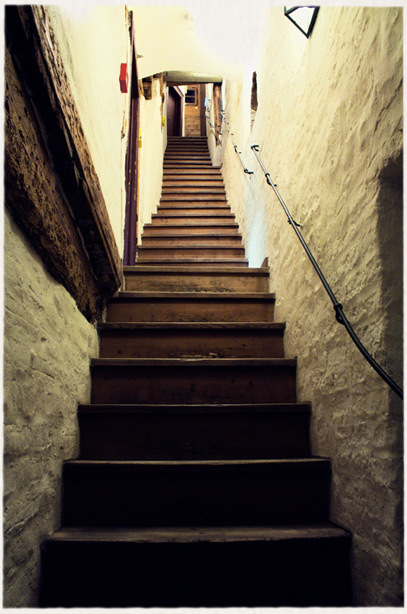 Another restored original feature is the "stairway to heaven", a staircase characteristic of historical Munich buildings which extended from the ground floor to the attic in a single unbroken line. The staircase takes us back to the way Munich people lived in times past. The three-year restoration of the building and its conversion into a museum was performed in compliance with the strictest standards of historical conservation. The ground floor, showing the Roman masonry with its alternate layers of brick and pebbles from the nearby River Isar. BEER HAS BEEN A CONSTANT COMPANION OF HUMANKIND SINCE THE TIME OF THE BABYLONIANS. THEY COOKED UP THEIR HOME BREW FROM FERMENTED BREAD AND WATER. 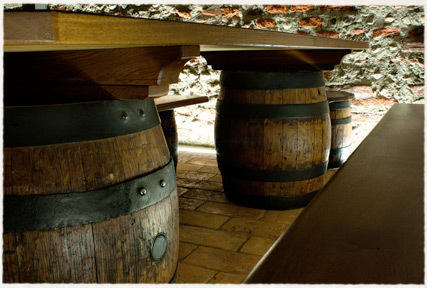 MEDIEVAL MONASTERIES REFINED BEER BREWING AS A CRAFT AND A TRADITION. THE INTRODUCTION OF THE BEER PURITY LAW SET A FURTHER MILESTONE. 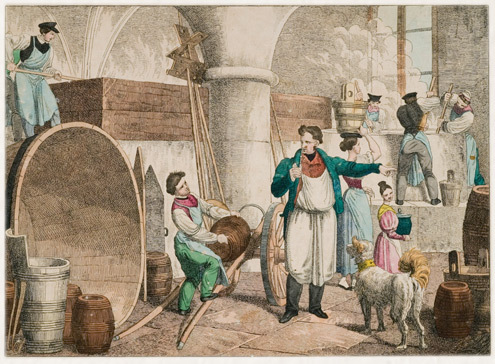 THE ART OF BREWING REACHED PERFECTION IN THE INDUSTRIAL AGE. 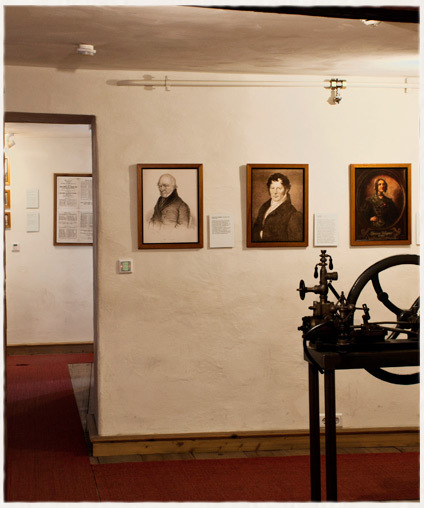 A HOST OF DOCUMENTS, TOOLS AND INVENTIONS ARE TESTIMONY TO THIS LIVING HISTORY. AND MUNICH AND BAVARIA ARE PROUD TO CLAIM THEIR HERITAGE AS THE CRADLE WHERE BEER DEVELOPED INTO THE QUALITY BEVERAGE WE KNOW TODAY. Barley malt, hops, water – nothing else! A set of instructions from a Munich brewery dating back to 1487 prescribes these, and only these, as the ingredients for beer brewing. 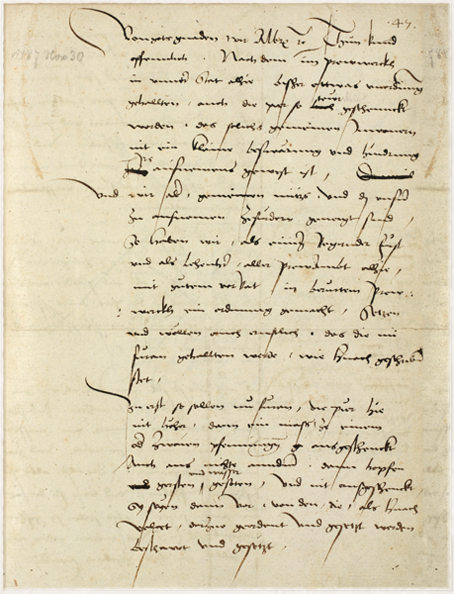 The instructions were adopted throughout Bavaria in 1516 as the Purity Law – the secret of success for Bavarian beer. 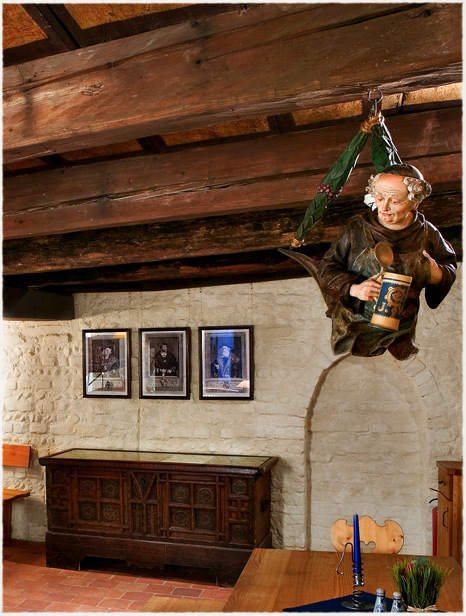 Brewing became a vocation, and brewers were as important as bakers and butchers. The beer produced by breweries was a dietary staple which gradually became a universally popular drink. Innovative developments like refrigeration made beer tastier, longer-lasting and transportable, helping beers to become known throughout the world. Mia san mia, mia trinken Bier! — We are who we are, we love a jar! 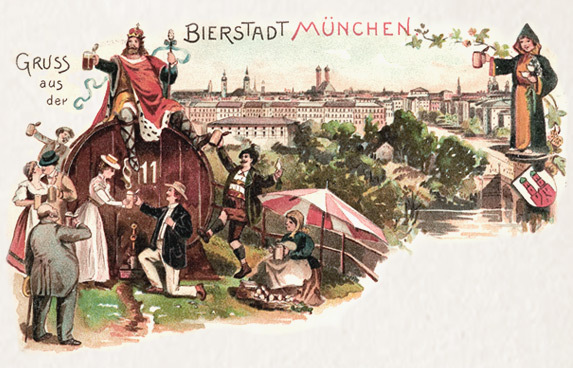 Today Munich is famous as the 'beer capital' of the world. 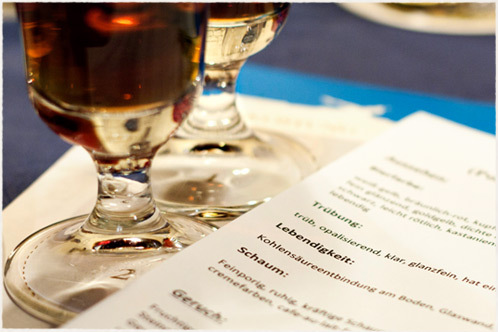 Beer is a central element of Bavarian lifestyle, and guests from all over the world love to join us. O’ZAPFT IS! — KEG’S TAPPED! HERE'S TO A PEACEFUL FESTIVAL! BACK IN 1810, WHO WOULD HAVE THOUGHT THAT A HORSE RACE HELD TO MARK THE WEDDING OF CROWN PRINCE LUDWIG I AND PRINCESS THERESA OF SAXONY HILDBURGHAUSEN WOULD DEVELOP THROUGH 200 YEARS INTO WHAT WE KNOW TODAY AS THE OKTOBERFEST! IN THOSE DAYS THE EVENT WAS DESIGNED TO ENCOURAGE A FEELING OF SOLIDARITY AMONG THE DIFFERENT PEOPLES IN A STILL VERY YOUNG KINGDOM. TODAY THE OKTOBERFEST ATTRACTS MILLIONS OF VISITORS YEAR AFTER YEAR – WITH ITS FAIRGROUND AND BOOTHS, ITS UNIQUE ATMOSPHERE AND, OF COURSE, ITS BEER. 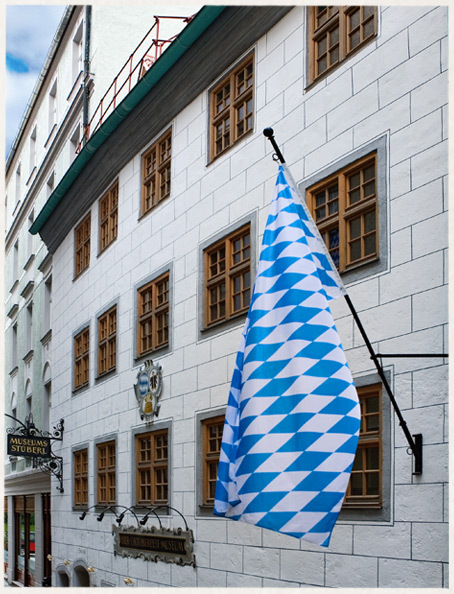 LET OUR MUSEUM TAKE YOU ON A JOURNEY THROUGH THE HISTORY OF THIS WORLD FAMOUS EVENT THAT TODAY IS SYNONYMOUS WITH MUNICH AND ITS BEER – AND NOT ONLY IN OCTOBER. 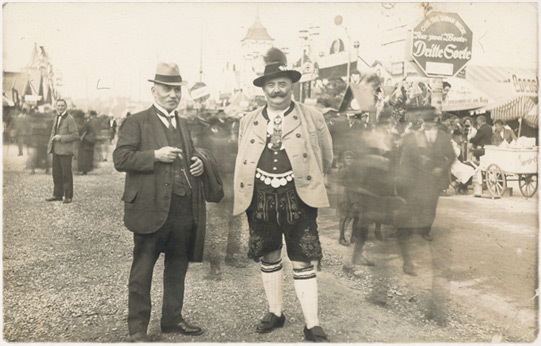 This picture from 1926 shows Franz Xaver Kugler (r.), a real Munich character, an Oktoberfest publican and – according to legend – the inventor of the beer shandy. 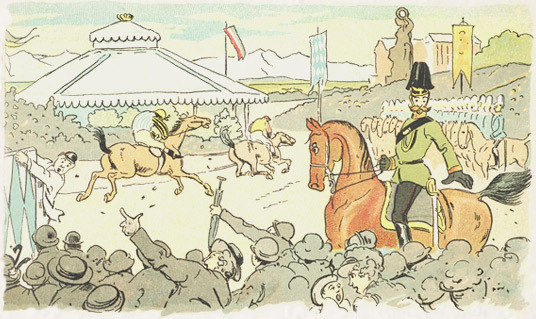 Up to 1913, the original attraction of the Oktoberfest was the horse race with its jockeys. 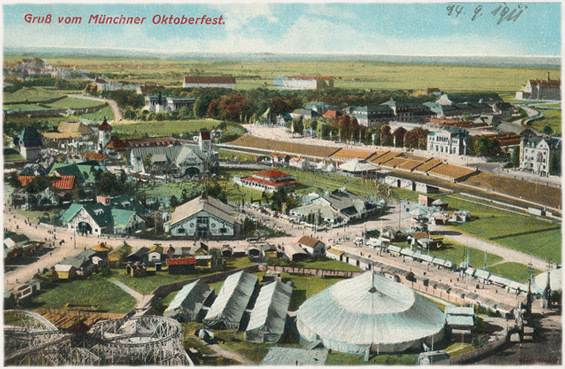 The Oktoberfest in 1911, still with the racetrack enclosing the festival site on Theresienwiese (Theresa's Field). In those days the site was on the very edge of the city. The "beer castles" are clearly shown between the fairground rides and the booths. Munich beer is on everyone's lips! Today the Oktoberfest attracts visitors from all over the world and has become the flagship of Germany's culture of beer and traditional festivals. Almost seven million visitors have enjoyed the festival in recent years. 2012 poster by Björnson. 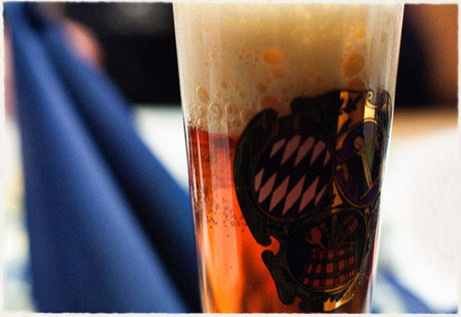 THE BEST WAY TO EXPLORE THE BEER AND OKTOBERFEST MUSEUM IS ON A GUIDED TOUR. MUNICH CHARACTERS AND EXPERTS TAKE YOU THROUGH THE EXHIBITIONS WITH A FUND OF FASCINATING STORIES ABOUT BEER, THE OKTOBER­FEST AND THE HISTORIC SURROUNDINGS OF THE MUSEUM. TOURS CAN BE BOOKED FROM A MINIMUM OF EIGHT PERSONS AND ARE AVAIL­ABLE IN GERMAN AND ENGLISH (OTHER LANG­UAGES ON REQUEST). DATES ON REQUEST. ARE YOU AN EXPERT ON YOUR FAVOURITE BEER? YOU ARE? YOU'LL BE AMAZED AT WHAT OUR BEER SOMMELIER CAN TELL YOU ABOUT "YOUR" BEER. 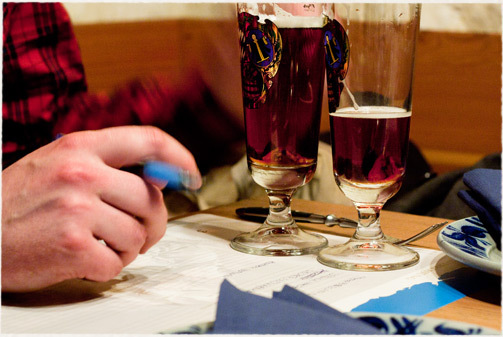 AT OUR BEER TASTING, YOU'LL MEET REAL EXPERTS WITH FASCINATING FACTS ABOUT BEER BREWING, THE RANGE OF TYPES AND VARIETIES, THE ART OF POURING BEERS, THE SECRETS OF SENSORY ANALYSIS, THE SKILL OF MATCHING BEERS TO FOOD, AND THE HISTORY OF MUNICH BEERS. DATES (IN THE MUSEUM OR ELSEWHERE) AVAILABLE ON REQUEST. In the Beer Exhibition, you'll discover how to use all your senses to experience beer and describe your sensory impressions like a real connoisseur. Forget beer's reputation of quantity over quality! Beer offers a wealth of richly varied nuances, with a complexity that can match fine wines. Blind tastings often have a few surprises in store – even for experts (and would-be experts). BRING YOUR MUSEUM VISIT TO A SATISFY­ING CLOSE WITH A HEARTY SNACK AND A REFRESHING BEER! 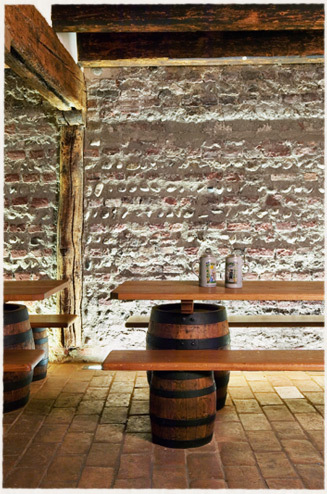 ENJOY TRADITIONAL BAVARIAN SPECIAL­ITIES AND MUNICH BEER FRESHLY TAPPED FROM A WOODEN KEG IN THIS HISTORIC SETTING. AND YOU CAN VISIT THE COSY MUSEUMSSTÜBERL PUB OUTSIDE MUSEUM OPENING HOURS TOO — MONDAY TO SATURDAY 6 PM TO MIDNIGHT. Something to celebrate? 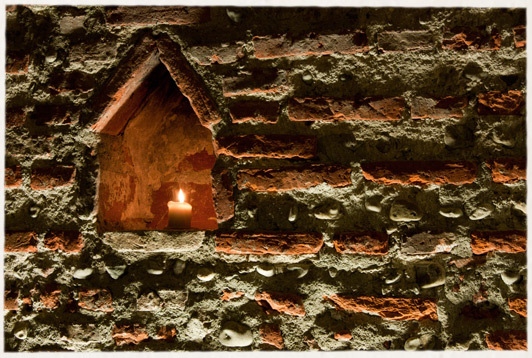 The pub also makes the perfect setting for birthdays or company events. Dark wood creates a welcoming country-style atmosphere. 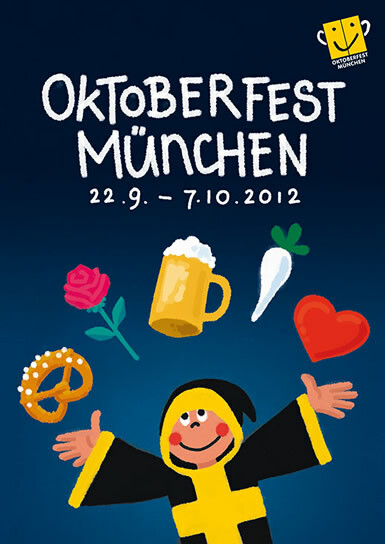 THE NON-PROFIT ORGANIZATION MÜNCHNER OKTOBERFESTMUSEUM E.V. IS A SOCIETY WHICH AIMS TO INFORM ABOUT THE 200-YEAR HISTORY OF THE OKTOBERFEST AND THE HISTORY OF THE WORLD'S LARGEST FAIR FROM A VARIETY OF PERSPECTIVES. The Beer and Oktoberfest Museum is located just off Tal, a street in the heart of Munich between Marienplatz, the Viktualienmarkt and Isartor. Sterneckerstrasse runs between Tal and Westenriedstrasse. The Münchner Verkehrs- und Tarifverbund (Munich Transport Authority) website has information about timetables and stops together with all public transport connections to the Beer and Oktoberfest Museum.